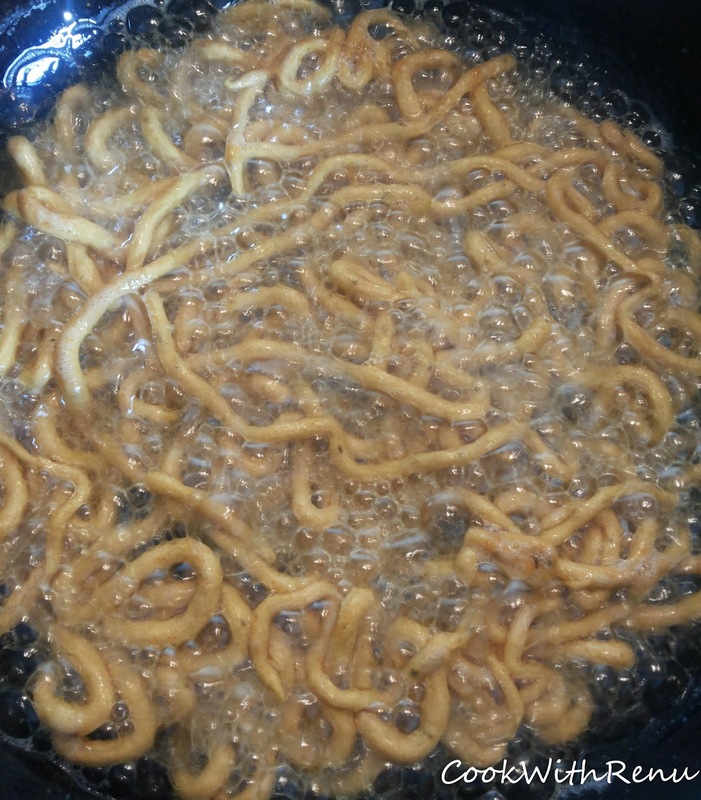 Namkeen Sev is again my favourite tea time snacks. Simply dip it in tea and enjoy or put them in some chat to get that extra crunch. 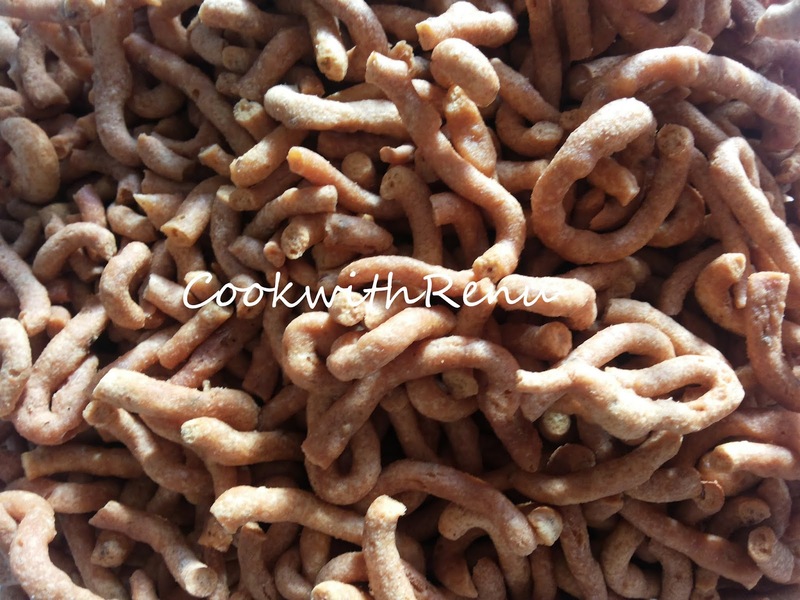 Can make thick or thin (Jada and Barik) sev variety. Mix all the ingredients and make a dough so that the besan gets dissolved completely. IT should not be stiff nor should be watery. Something similar to very very thick yogurt (yogurt minus the water). Let it rest for at-least 30-40 minutes so that the besan absorbs water. Heat oil in a kadai. In the meantime grease the Sev press with oil. Once the oil is hot start making sev, by pressing it and moving it in circles from outside to inside so that it makes a mesh. Do not overlap too much as the sev might get stick or best keep on making a circle from outside to inside by trying not to overlap. Cook on medium flame always. Let one side cook and then reverse it. Do not touch if you feel it has not cooked. Remove it in a strainer or on an absorbent paper. Once cooled crush them with you hand and store them in an airtight container. It’s a fun way for children’s to eat, if not crushed. Yummy Sev are ready. Store them in an airtight container. They stay fresh for atleast 15-20 days.